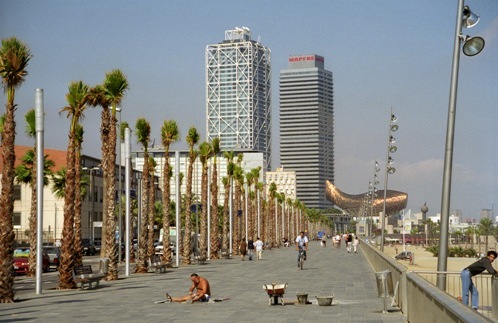 Barcelona’s waterfront was significantly redeveloped for the 1992 Olympics and is now one of the city’s highlights. 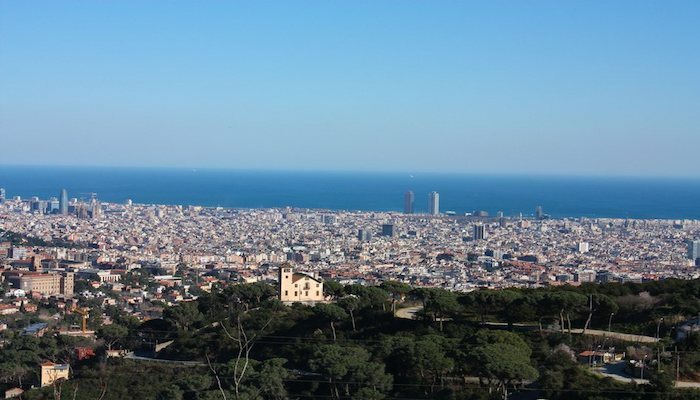 There is terrific running right along the water, easily accessible from many downtown hotels, Las Ramblas, and many spots popular with visitors. It is possible to run along the water from the Columbus Monument north for about 7 km to the Besòs River near Parc del Fòrum. It’s also possible to run on the beach — it’s not 100% seamless and the sand is OK but not great for running. We’ve mapped a route with two starting points: one from The Columbus Monument, and the other from W Hotel at the Plaça de la Rosa del Vents. There are opportunities along the way to add more, by running paths out to various marinas and points: the Aquarium, out to the W Hotel, and a 1.5 km loop around the Port Olimpic. If you’re doing an out and back, there’s an option to vary the return by running along the ‘linear park’ just west of the main road (Av. del Litoral), which offers some shade on a hot day. You can also run one way and take the metro back: at the south end, metro is Drasannes or Barceloneta; at the north end El Maresme/Fòrum. and it has helped me out loads. I am hoping to contribute & aid different customers like its aided me.